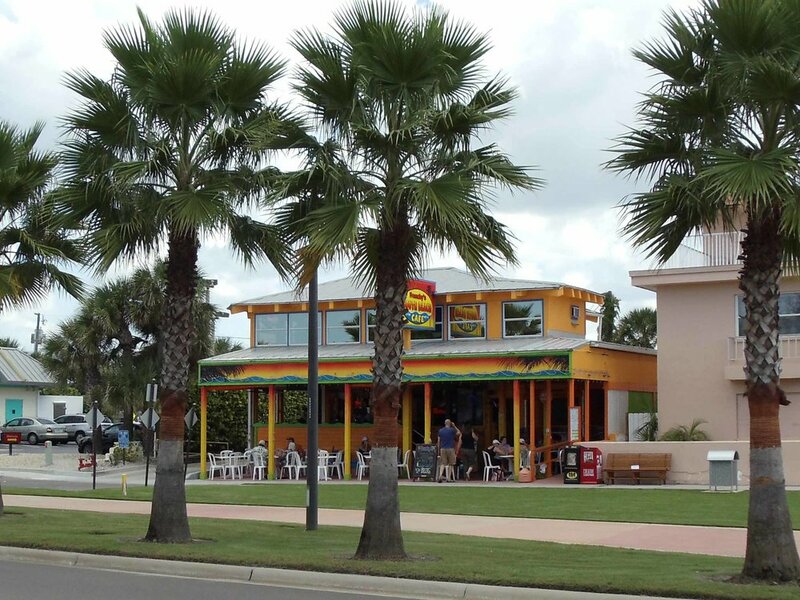 Frenchy's South Beach Cafe is a Florida beach bar located in Clearwater Beach. Discover this great Florida beach bar. Frenchy's South Beach Cafe location is right across the street from the busy Clearwater Beach; the beach itself that is. 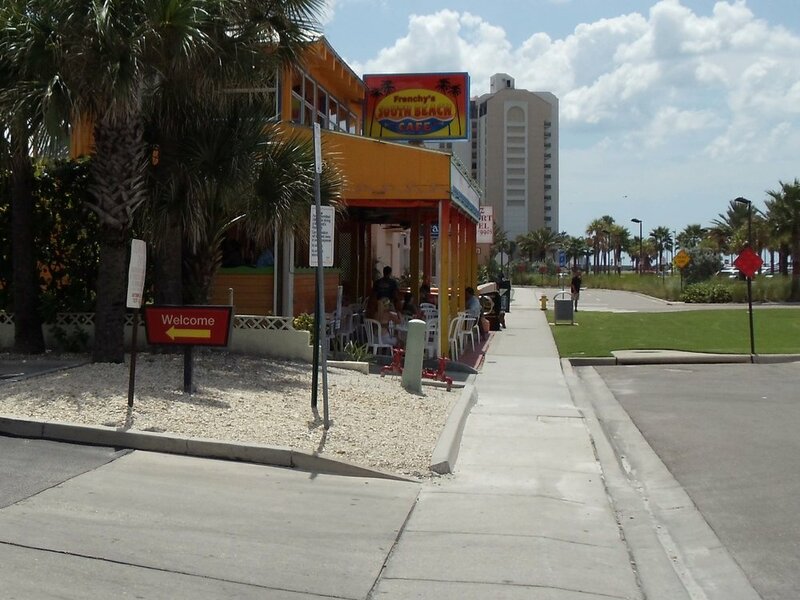 There are several Frenchy's in Clearwater Beach, and everyone knows they are the place to go for good food. Imagine that you can spend the day at the beach, and then wander across the street to Frenchy's South Beach Cafe for lunch and a few good and cold drinks. Then you can head back to the beach for more fun in the sun. Enjoy the sunset! This Florida beach bar is the perfect place to end a lazy beach day. They are not known for live music but you might catch some on a Saturday night. Just a great little place to enjoy some beach views.